After some behind the scenes work, we are getting much better numbers and a more accurate count of the most popular plans from month to month, November has some shake-ups throughout the Top 10 list. With winter fully settled in across most of the county, now is a great time to browse our Parkjet's extensive catalog of free plans (137 total) and find that next build to put together for spring flying. The Top 10 list is a good place to start looking for what other pilots and builders are putting in their digital library to build later. So without too much blabbering, let's get to the Top 10 plans downloaded in November, 2014! July is nearly half way over and we have not posted the Top 10 most downloaded plan on Parkjets for June yet! Well, time to fix that little oversight. We have some real changes to the Top 10 list this month, probably due to a better way we are now keeping track of the number of downloads, but much remains the same. Let’s get to it. With May closing out, and the heat of June already bearing down, it’s time to get to the most popular downloads on Parkjets for last bit of spring. We have some new comers to the list, some old favorites, and a couple of surprises. Let’s get to it and kick off June right. Ehh, we skipped a month there on the Top 10 list, and that can happen from time to time as life gets in the way. But we do have the numbers from March 2014, and we nearly had a new #1. But, with just 13 fewer downloads (out of 2,100), a newcomer just came up short. Let's get to the Top 10 most downloaded plans on Parkjets! So the first month of 2014 is already over and we are just pressing halfway through Feburary. How time flies! Hopefully many of you trapped by the mountain of snow in much of the country have had a great opportunity to get in some much needed build time on your spring fleet. As always, let's take a look at the most popular plans for January 2014. We have a couple of old friends crack back into the list and the reigning king is de-throned for the top spot. Here we go. After recovering from a rather rowdy New Year's celebration, it's time to get posted the Top 10 plans for the last month in 2013. December proved to be a month were some oldies but goodies made a return to the Top 10 and some new entries posted some strong showings as well. Let's get started, here we go, the last Top 10 of 2013! Every month, for nearly a year, we have been logging the most popular plans on parkjets on a monthly basis. Its time to look at last month, and see what the list has in order. Here we go! 10. Cutlass by SDParkflyers - The Cutlass has come to Parkjets and its found a great little spot. The Cutlass is a great beginner plane, featuring broad delta wings and moderate speed. A great Parkjet! Every month, we have been posting the Top 10 list of the most popular plans on Parkjets. So now its time for December 2012! So how do we determine the most popular downloads? Simple, we analyze the intenet traffic and rank the plans based on popular plans for the month. Like every month, when the first of the month rolls around, we take a look at the most popular plans that visitors to parkjets have looked at and downloaded. It gives news visitors a good idea about what others are doing and a good place to start exploring. Without wasting too much time, let's see where the most popular free RC airplane plans reside on parkjets for the month of November. With October closing out with some massive storms and the winter build season upon us, it's time again to check out what RC Hobbyists from all across the globe are downloading and building. 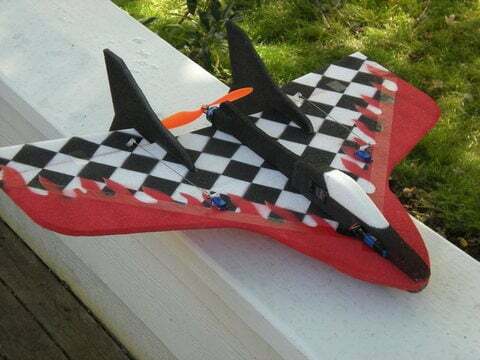 This month's top 10 list of the most downloaded free RC airplane plans features a lot of familiar faces. Let's get started. With summer quickly coming to a close and the winter build projects beginning to take shape, it's that time of the month to look back and see what plans have been the most popular in the month of September. For the new builder out there, sometimes it can help to see what other builders are tackling to help narrow down the pool of over 100 free plans on parkjets.com Let's get to it! Another month, another Top 10 list. This month we have quite a few changes from July and a new comer almost dethroned the most popular Steve Shumate plan on the site. With three plans in August that were not on the list in July, August shaped up nicely. 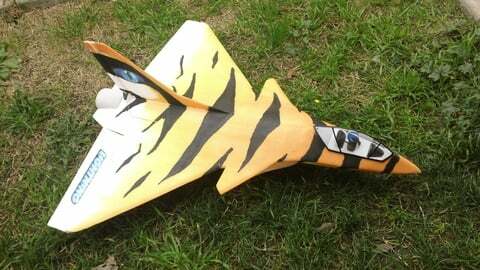 Let's not waste time, or words and get to the most popular RC airplane plans on the site.